Grandview Homes would love to be Barrie’s Best New Home Builder again this year. It’s time to nominate you favourite local Barrie businesses, and it couldn’t be easier. CLICK HERE and help put Grandview Homes, and your favourite mechanic, in the finals. 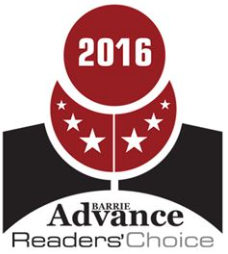 And as an added bonus check out the prize the Barrie Advance is offering one lucky winner! Grandview Homes – Building Communities for You!